Romeo Gumede a Johannesburg based young Entrepreneur from Entumbane, Bulawayo has gripped the fashion loving youthful audience in South Africas Johannesburg with frenzy through his brand Khwampha. The word 'Khwampha' means Right there and is derived from the Ndebele word khonaphana. Khwampha wear is a registered clothing brand which does not only produce t- shirts but also a variety of clothing equipment including hoodies , caps , tights and sports wear. In an interview with Bulawayo24 on how he started the brand Gumede said "I started testing if Khwampha is a brand that makes people talk around March 2018 . The responses were amazing. A lot of people were saying Khwampha nga? "I had to say where ever you are and where ever you are from. Khwampha is a statement of pride that a person expresses to describe a place they like and are attached to. The demand from people asking me to make them their own gear made me register Khwampha as a brand in August 2018 and that is when I started mass production. "I used social media as an advertising platform that created a even bigger demand . Our customers have been ordering directly from whatsapp and from our Facebook page. I have went on to open an online store www.khwampha.com the website is still under construction. I will also Launch Khwampa in Bulawayo in due course." Concluded Gumede. 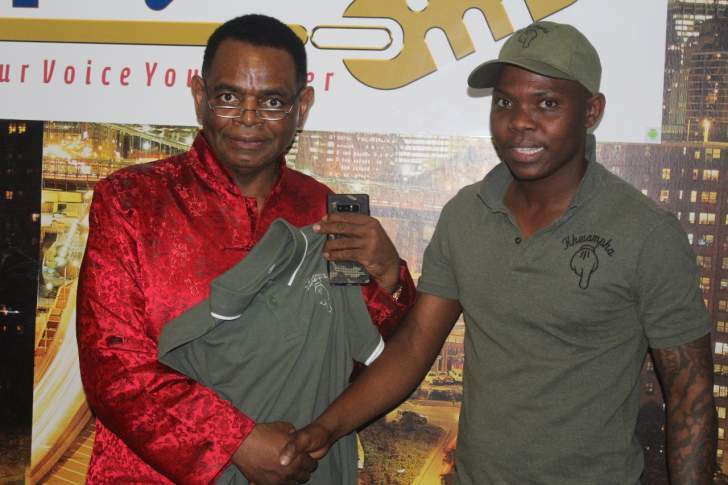 Gumede is one of the young entrepreneurs who is p[romising to create a long lasting brand after Bulawayo produced two other popular Brands Tsotsi and Ndebele Maker.